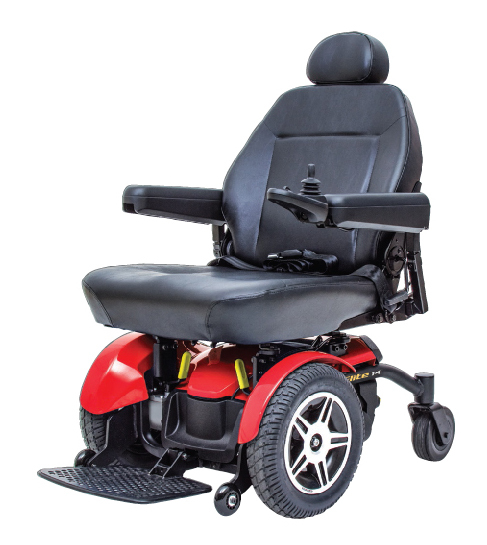 The Jazzy 600ES from Pride exhibits the same quality and durability that you are accustomed to receiving when purchasing a Jazzy power wheelchair.The compact design of the 600ES creates a small 22″ turning radius that is ideal for using this chair to navigate indoor spaces. 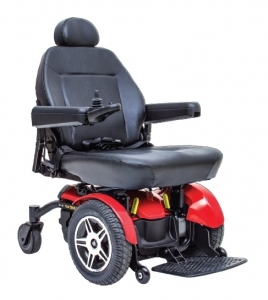 The Jazzy 600ES also has the Active-Trac ATX Suspension system that gives you a smoother ride and allows you to use this chair outdoors as well. This Pride chair also provides you with multiple seating options and accessory choices so that you can personalize your 600ES for your own needs. 40.25″ Unit Weight: 240 lbs.